Add to cart to see your low price! 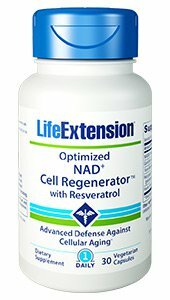 Optimized NAD+ Cell Regenerator™ with Resveratrol combines NIAGEN® nicotinamide riboside and resveratrol with quercetin and fisetin to create a unique nutritional supplement for longevity and youthful cellular energy production. Support healthy cellular metabolism; regulate genes that control aging, and more with Optimized NAD+ Cell Regenerator™ with Resveratrol: our Best in Class product for cellular energy support! Life Extension® was among the first to promote the amazing health benefits of resveratrol and, later, NIAGEN®: the first commercially available form of nicotinamide riboside. And now we’ve combined them both into a single supplement. NIAGEN® increases cellular levels of NAD+, an enzyme critical to healthy cellular energy production. 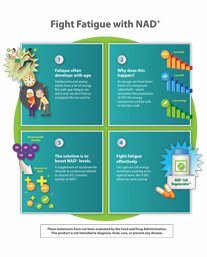 In a randomised controlled trial published in 2017, older adults taking a daily dose of 250 mg of nicotinamide riboside had a 40% increase in NAD+ levels after just 30 days. 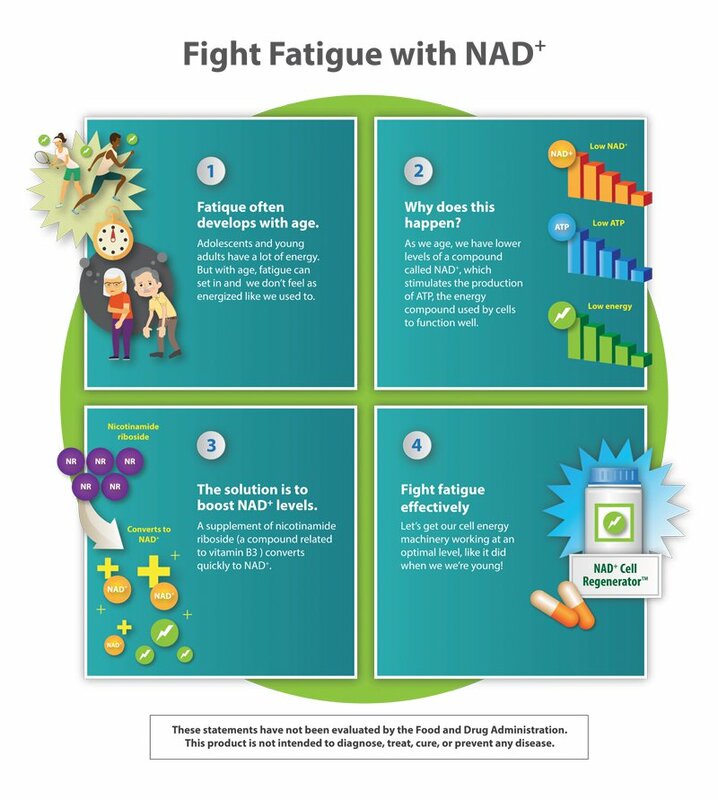 Studies show that increasing NAD+ also encourages healthy metabolic and cognitive function. Resveratrol is a plant compound that supports the healthy expression of genes associated with slowing down aspects of the aging process. Resveratrol also promotes healthy insulin sensitivity, encourages enhanced mitochondrial function, and promotes a healthy inflammatory response. And our Optimized NAD+ Cell Regenerator™ with Resveratrol formula includes a red grape and wild blueberry blend for additional polyphenols, anthocyanins, and more. Fisetin and quercetin are phytonutrient compounds that augment resveratrol’s healthy effects, promote cardiovascular health, support healthy cellular function, reduce oxidative stress, promote a healthy inflammatory response, and more. Take the fight against aging to the cellular level with Optimized NAD+ Cell Regenerator™ with Resveratrol! Other ingredients: vegetable cellulose (capsule), microcrystalline cellulose, silica, vegetable stearate, maltodextrin. NIAGEN® are registered trademarks of ChromaDex, Inc., Patents see: www.ChromaDexPatents.com.